Posted on November 7, 2018 by Nicholas Carr. This entry was posted in Engaging Interests and tagged engaging interests, U Book Store. Bookmark the permalink. November is a month where we celebrate bounty, and those around us. 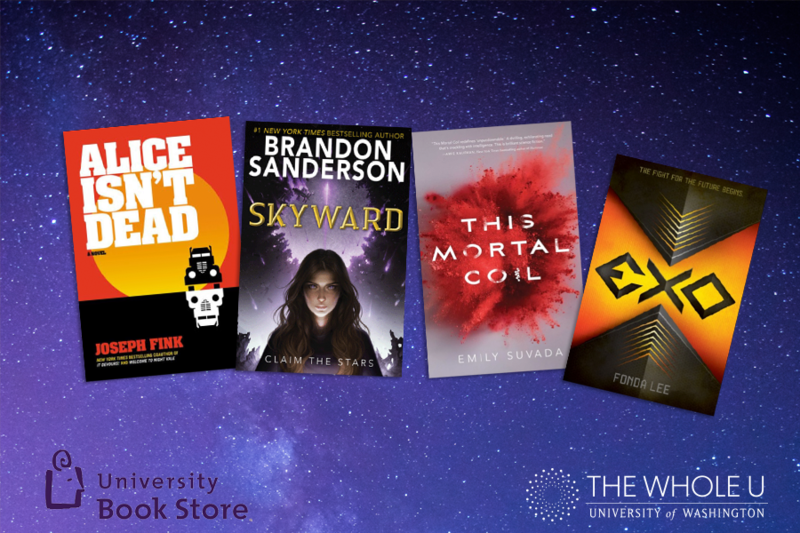 This month University Book Store proudly highlights books from authors we’re featuring this month! In the spirit of plenty, enjoy both stand-alone reads and exciting duologies for back-to-back reading! The acclaimed fantasist behind the Mistborn series, Words of Radiance, and who concluded Robert Jordan’s epic Wheel of Time series, returns with a new trilogy, which points its gaze Skyward! 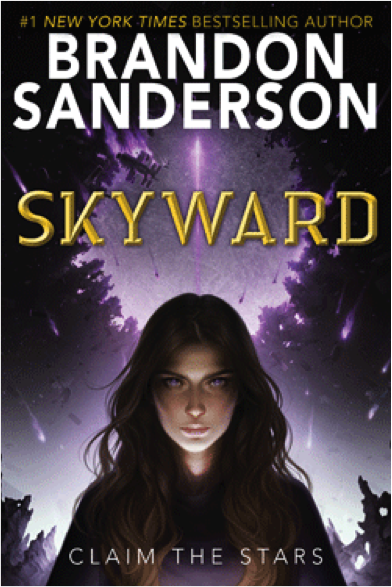 In his re-imagining of the “boy and his dragon” story in a space opera setting, Sanderson describes Skyward as a mash-up of How to Train Your Dragon, Ender’s Game, and Top Gun. Spensa’s world has been under constant attack for decades. Pilots are what’s left of humankind, and Spensa has always dreamed of joining them, like her father. Except her father was killed when he deserted his team, so his daughter’s chances of joining flight school are less than stellar. But an accidental discovery in a long-forgotten cavern might just provide Spensa with a way to claim the stars. University Book Store hosts Brandon Sanderson for an exclusive author event on Saturday, November 10th! From one of the two writers of the hugely successful podcast, Welcome to Night Vale, and the two New York Times bestselling novels that followed, comes a thrilling new read! As atmospherically eerie and unsettling as its predecessors, Alice Isn’t Dead follows a truck driver on a journey across America to find the wife she thought long dead. Keisha Taylor lived a quiet life with her wife, Alice, until the day that Alice disappeared. Presuming she was dead, Keisha held a funeral, mourned, and gradually tried to get on with her life. But that was before Keisha started to see her in the background of news reports from all over America. 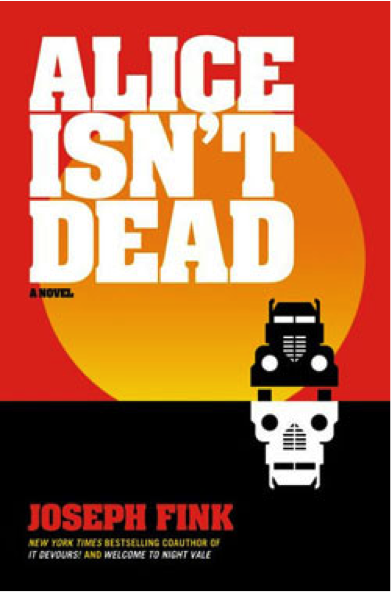 Alice isn’t dead, and she is showing up at every major tragedy and accident in the country. Why did Alice disappear? What does she have to do with this secret war between inhuman killers? Why did the chicken cross the road? These questions and many more will be answered in Alice Isn’t Dead. Joseph Fink joins University Book Store for a discussion and signing Monday, November 12th! I know what you’re thinking: we can’t just recommend a whole series in a book list, even if it’s only two books! If you have read Fonda Lee though, you understand why we do, and if you haven’t…you’re welcome. Winner of several awards, including two Aurora Awards this year, as well as a Nebula and Locus Award nominee, Lee is a literary force to be reckoned with! 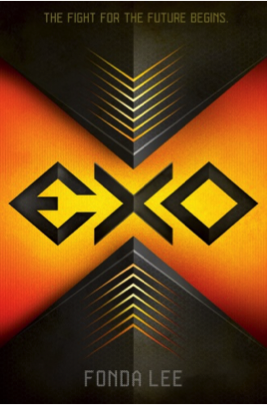 In EXO and Cross Fire, Earth has enjoyed a century of peace as a colony for the alien zhree, despite the best efforts of the human revolutionary group Sapience. Donovan Reyes isn’t one of them, he enjoys high social standing because his father is the Prime Liaison between the races, and because of his exocel, a biotechnology fused to his body. When a routine mission goes awry, and Donovan is abducted by Sapience, a string of events is set in motion with cosmic repercussions for humans, the zhree, and Earth. Can’t get enough? Fonda Lee talks about her exciting sequel with Emily Suvada at University Book Store on Sunday, November 18th! 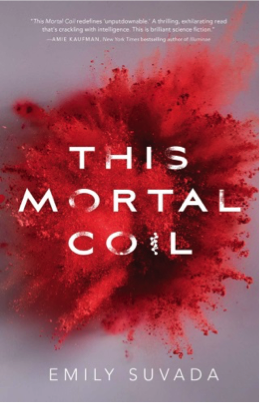 Emily Suvada’s debut, This Mortal Coil won the Oregon Spirit Award, and was shortlisted for the Waterstones Children’s Book Prize, the Aurealis Awards, and the Readings Young Adult Book Prize. Born and raised in Australia, where she studied mathematics and astrophysics, Suvada previously worked as a data scientist, and still spends hours coding algorithms to perform tasks which would only take her minutes to complete on her own. Catarina Agatta is a master hacker, but that isn’t what makes her special. In Cat’s world, people are implanted with DNA-recoding technology to change their bodies as they want. And Cat is a gene-hacking genius. But a plague has brought humanity to the brink of extinction, and Cat’s father, the legendary geneticist Dr. Lachlan Agatta, was humanity’s last hope. Until he was captured by the shadowy organization Catraxus. Two years later, a Catraxus soldier finds Cat with a message from her father: before he died, he finished the vaccine, and they will need Cat’s help to release it. But as Cat works for humanity’s future, her own past can’t help but follow her. Hooked on this series? Emily Suvada joins University Book Store with Fonda Lee to discuss This Cruel Design on Sunday, November 18th!